When you want to impress, make a red juice that not only looks good, is refreshing and totally healthy, charged with super anti-oxidants! Measurement for one portion, multiply accordingly for the number of people you will be serving. Best when extracted using a masticating juicer. Put in each glass a slice of lime and a twig of mint leaves. Serve chilled and with ice. Enjoy! 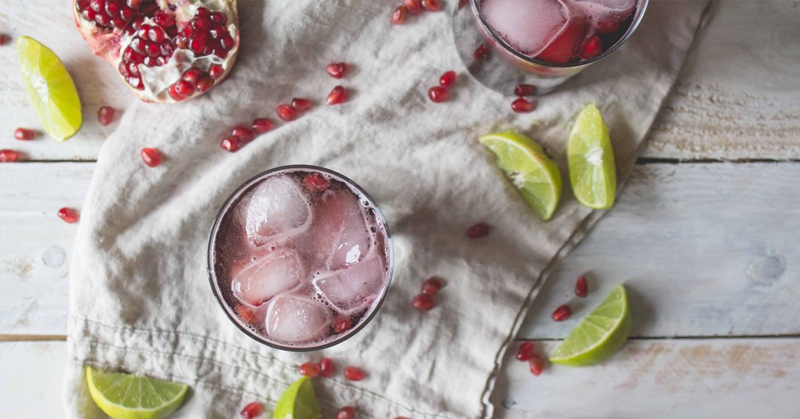 Read more about the health benefits of cranberries and pomegranate. I have a friend that just was released from the hospital due to a nasty kidney infection, i will use this recipe.